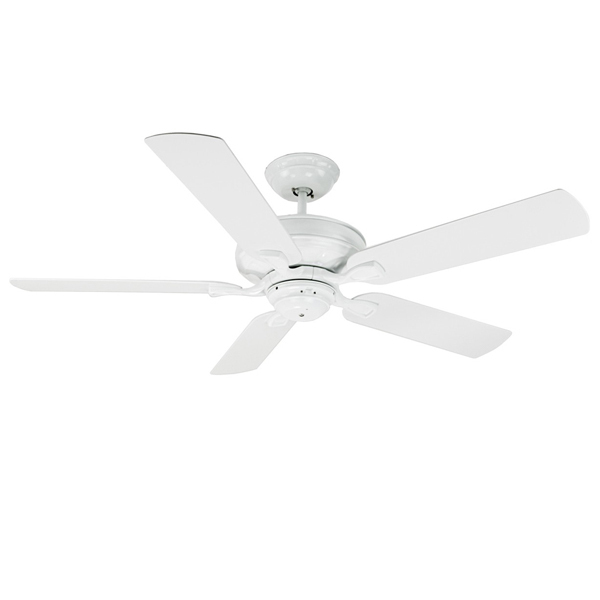 Verandah Ceiling Fan - Outdoor Emerson Fan In White 52"
High Quality carbon stamped steel fan housing in White with all weather White blades. The Fan is IP24 rated and with its tightly sealed connections it deters moisture and water therefore this fan can be used in wet, damp and indoor locations. 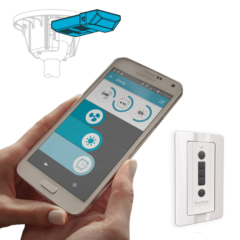 It includes a three speed wall control (without the faceplate) for basic operation as well as a reversing switch for summer and winter modes via the motor. 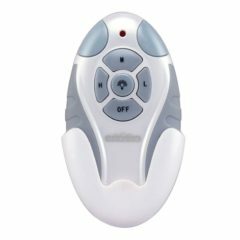 Accessories such as a three-speed remote control and light kits are sold separately (see accessories below). EMERSON FANS – 12 month on-site manufacturer's warranty + limited lifetime motor warranty (conditions apply). Controls/lights have separate warranty. 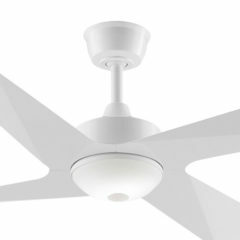 This LED light kit is suitable for the Modn-4 ceiling fan, Windpointe and Verandah fan models. 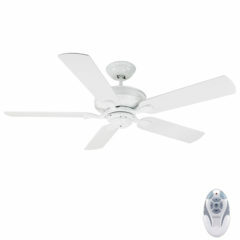 It offers a 12w LED light of 3000k warm white and 1100 lumens. These Verandah Extension rods are used to lower the ceiling fan to the required height. This rod is a 183cm length and suitable for the Verandah and Maui Bay ceiling fans. These Verandah Extension rods are used to lower the ceiling fan to the required height. 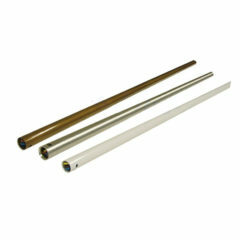 This rod is a 90cm length suitable for the Verandah & Maui bay ceiling fans.